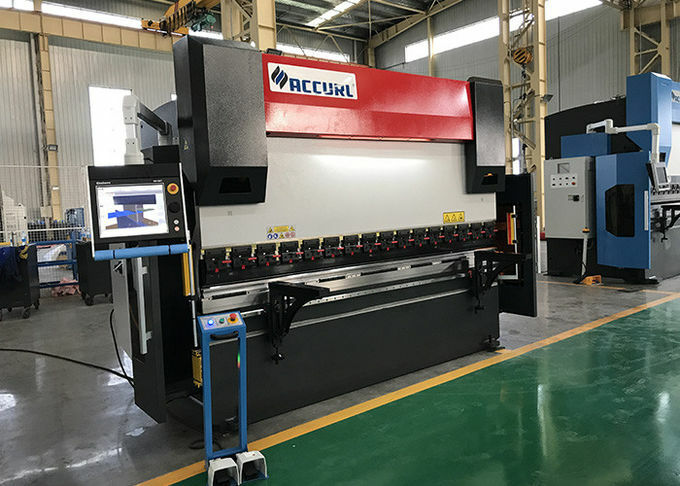 Built from name-brand parts and steel plate, this industrial press brake will stay rigid and accurate. You can program the bend depth and back gauge for efficient production. Delivers 50 tons of pressure over its entire 78” length. Long enough to bend 6-foot pieces of mild steel. Industrial-grade hydraulic system with a Vickers/Eaton® pump will last for many years at peak capacity. NOK® hydraulic seals from Japan are some of the best in the industry. They'll help the hydraulics run smoothly. Torque tube connects the 2 hydraulic cylinders, so they stay synchronized and parallel to the bending table at all times. Chain drive linkage keeps hydraulic cylinders in time with each other, so the machine remains balanced and lasts longer. Hydraulic cylinders are located in the back of the machine for convenient fluid changes. Hydraulic / Mechanical arm, synchronized positive stop design, ram stroke controlled by precision mechanical nut depth stops built into each cylinder. E-10 Programmable lead screw back gauge with adjustable height finger stops. Segmented heavy duty offset top punch is segmented for return bend clearance, complete with quick release punch holder. Multi vee ('V') bottom die is made from one solid die block design to handle heavy plate, safety edge vee ('V') is incorporated in bottom die block. Sliding steel fabricated sheet supports enabling a wide range of material sizes to be aligned and supported at the correct required height. This feature is achieved with a 'T' slot machined down the total length of the die bed; Sheet supports are also adjustable vertically to assist in supporting material with return bends already folded. Metal safety guarding surrounding the machine and micro switch ensuring operator safety. Clear access panels placed at each end of machine allows the operator to clearly view tooling and work piece during bending operation. Hydraulic pressure gauge mounted on support frame with quick adjusting pressure control knob allowing operator to accurately set the pressure required for different material thickness, incorporating with hydraulic overload protection. 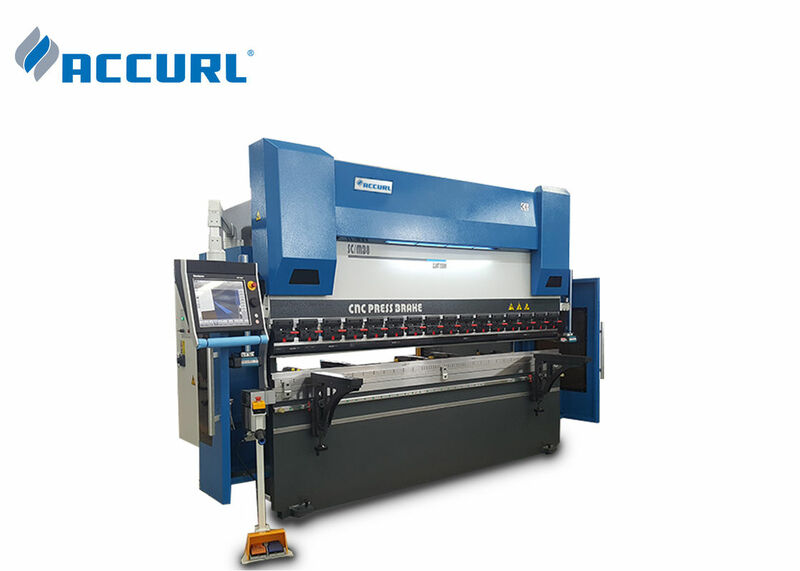 Welded steel fabricated synchronized torsion bar horizontally supporting main bending beam to provide consistent parallelism that also can be adjusted for taper correction. The vertical supporting slides are treated to provide greater ware resistance and increased accuracy. Sliding front sheet support arms. Emergency stop buttons conveniently located on control panel and foot control. Mobile dual operation foot control. Solid one piece four way multi vee (''v") die block. Quick action top punch tool holder system with wedge type adjustment. Metal constructed safety guarding surrounding machine with clear side viewing panels. Integrated hydraulic system allowing rapid approach switching automatically to slow bend. 1. 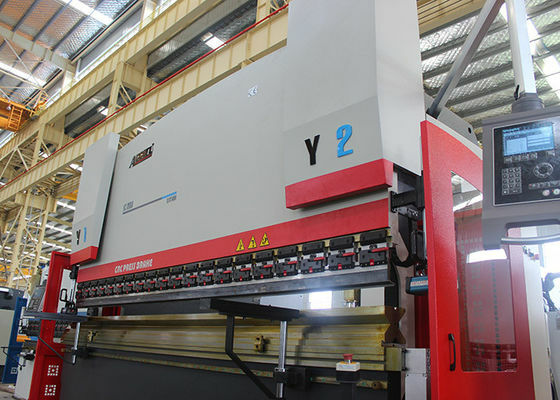 This machine is used to bend various kinds of metal plates. With different dies provided, the subscriber can get the metal plate bent into different shapes of work pieces. And it can also be used for punching when adequately equipped. 2. 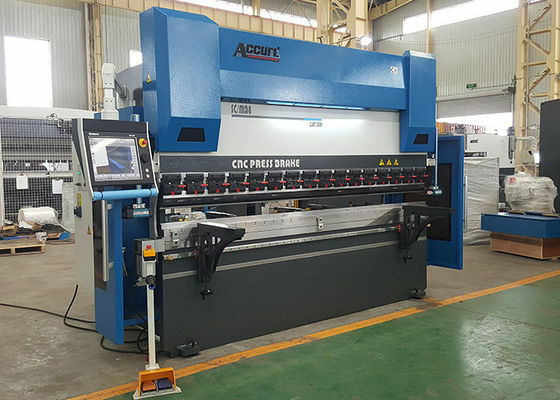 This machine is suitable for manufacturing aero planes, ships, automobiles and electric appliance, owing to its high efficiency in production. 3. 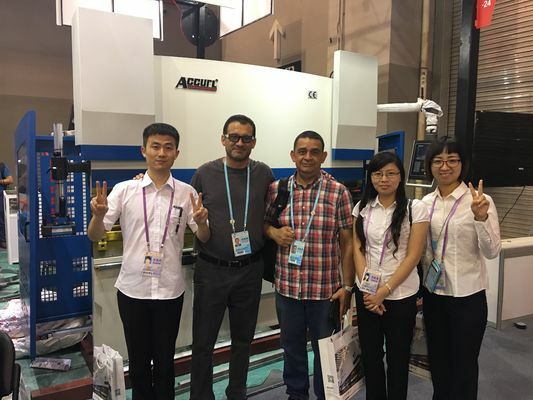 We design the special die tooling according to our customers work piece draft.